This simple salad is probably my favorite. 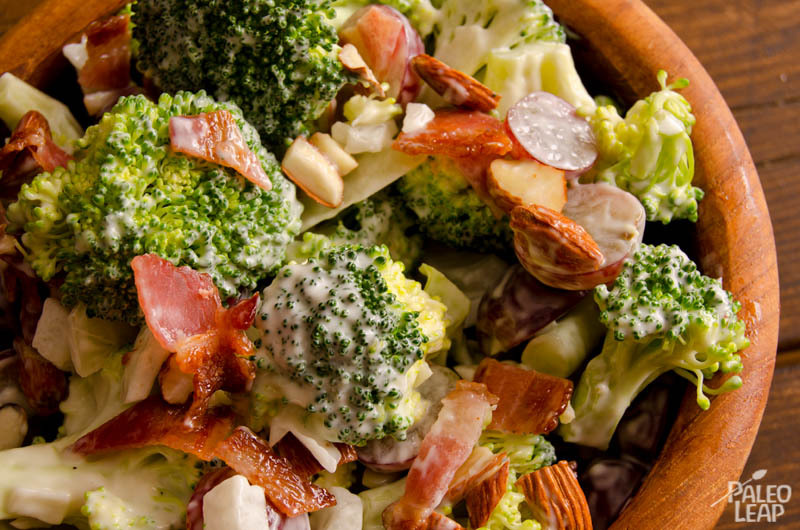 There is something special about the mix of broccoli with grapes and bacon with the addition of a mayonnaise and lemon juice dressing. It’s very hearty, nutritious and a really quick meal of snack fix. The texture of this salad is amazing: crispy bacon, crunchy almonds and juicy grapes. This recipe usually calls for raisins, but I find the grapes to give a much nicer texture to the salad.